For traditional landscape artists illusionism was conditioned first of all by the mind: that is, painters tended to depict the individual phenomena of the natural world - leaves, branches, blades of grass - as they had studied them and conceptualized their existence. Monet, on the other hand, wanted to paint what he saw rather than what he intellectually knew. And Monet saw not separate leaves, but splashes of constantly changing light and color. SPECIAL NOTE : The painter will make the reproduction as close to the original oil painting as possible. 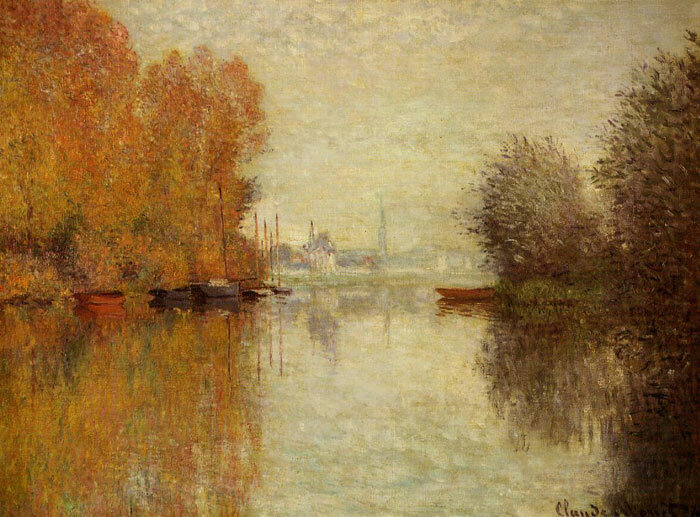 If you want your painting to alter from this likeness, please email us and " Autumn on the Seine at Argenteuil , 1873	" will be reproduced according to your special requirements.